Your driver-guide will pick you up for this Versailles and Louvre guided tour to visit the largest Palace in Europe built by the King Louis XIV. On the way to Versailles you will be told the history of this former residence of the monarchs until the French revolution. 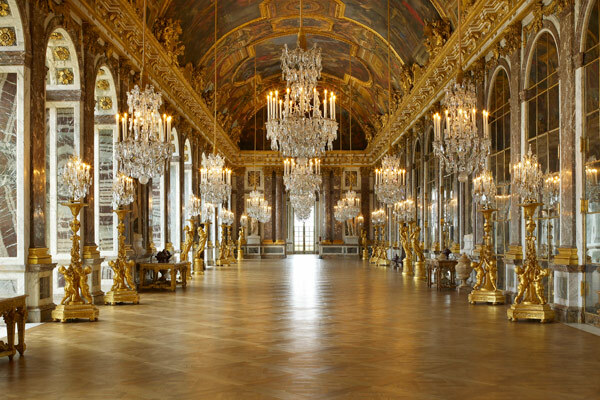 Today Versailles is a unique place to witness what was the opulence and abundance of luxury in which the Kings of France used to live. Once in Versailles, you will have the chance to visit the rooms open to the public with a national licensed guide that will allow you to comprehend one of the most important period of the French history. After the visit of the Palace you will have time on our own to stroll through the picturesque French formal gardens. For lunch we have selected a typical Parisian restaurant, before going on to the Louvre museum for a guided tour of the 3 main masterpieces, such as the Venus de Milo, the Winged Victory and of course the Mona Lisa painted by Leonardo Da Vinci. This tour ends at the Louvre. DURATION = ± 8 hours. AVAILABLE = Everyday (except Mondays and Tuesdays), Year round.